Pradhan Mantri Jan Arogya Yojana rolls out Sunday. 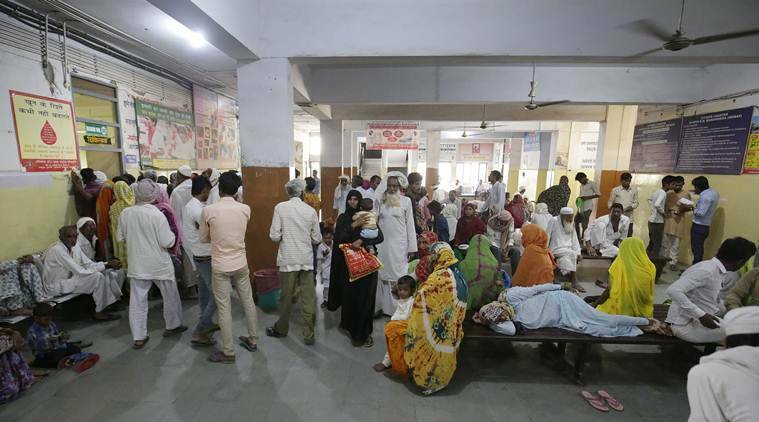 The Indian Express goes to Mewat in Haryana for a ground check: how beneficiaries are identified, how health system will change, public and private. 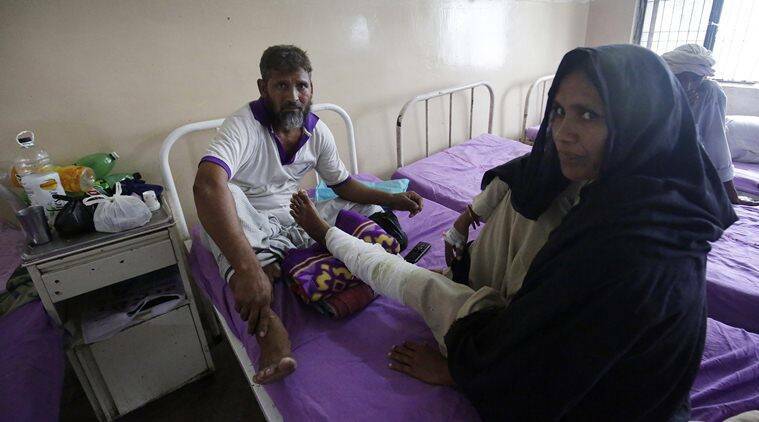 Nursing her bandaged leg in the female ward of the Al Afia government district hospital in Mewat (Nuh), Haryana, Jaibunnisa does not know that she is on the verge of making history. 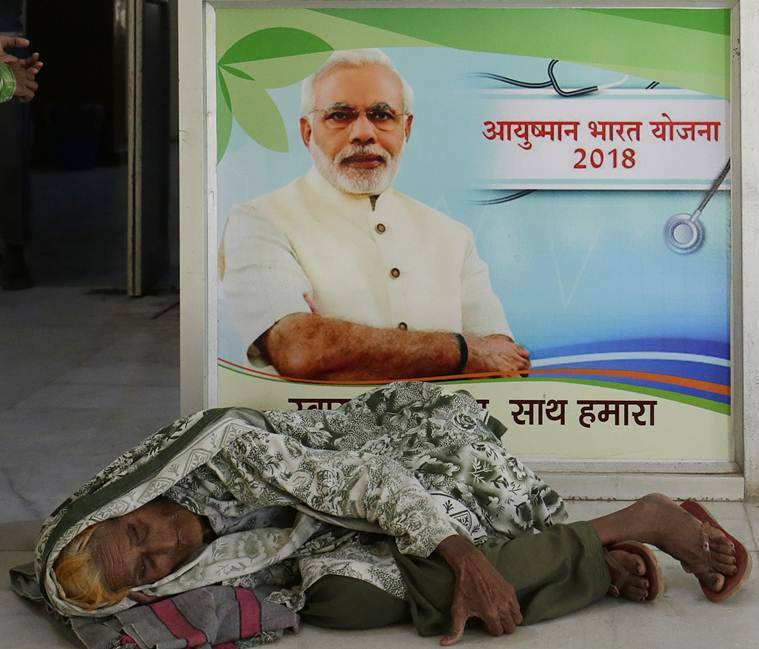 She is the first beneficiary in this district of the Pradhan Mantri Jan Arogya Yojana (PMJAY), the largest health insurance initiative in the world that will be rolled out by Prime Minister Narendra Modi on September 23. Mewat is the most backward district in a list of 101 prepared in March by the Niti Aayog. A patient of cellulitis, a bacterial skin infection, the details of Jaibunnisa’s treatment have been sent to the state health agency for reimbursement of expenses. Traditionally, because this is a government hospital, surgery, bed and medicine would have been free. Now the estimated cost of Rs 1,800 per day for medicine and bed charges is expected to be reimbursed in two-three weeks. 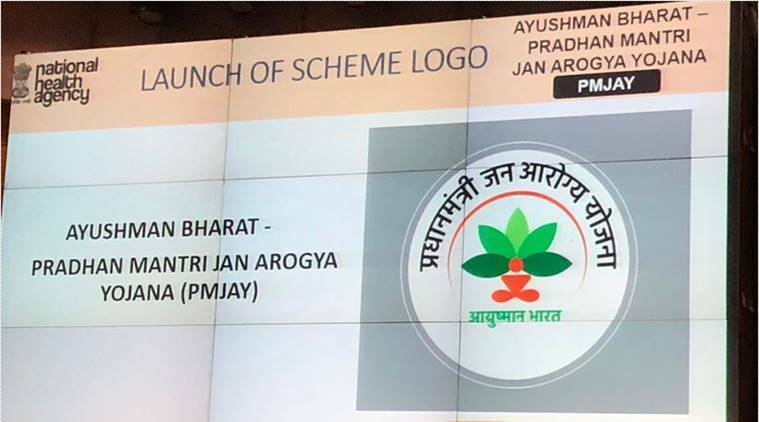 Labelled in the Union Budget this year as the National Health Protection Mission but known better on the ground by the umbrella scheme Ayushman Bharat, PMJAY will ensure an annual health cover of Rs 5 lakh to 10.74 crore families in the country. In Mewat, records show, roughly 4.58 lakh or 57,370 families out of a total population of 11 lakh are eligible for PMJAY. Here, work on the scheme has moved from villages to nodal centres and is now panning out to private hospitals. On Wednesday, district nodal officer Dr Renu Sharma visited three private hospitals to tell them about the scheme and its benefits. She is also on the lookout for a “VIP” to hand out a few of the 200 “gold cards” issued to beneficiaries. 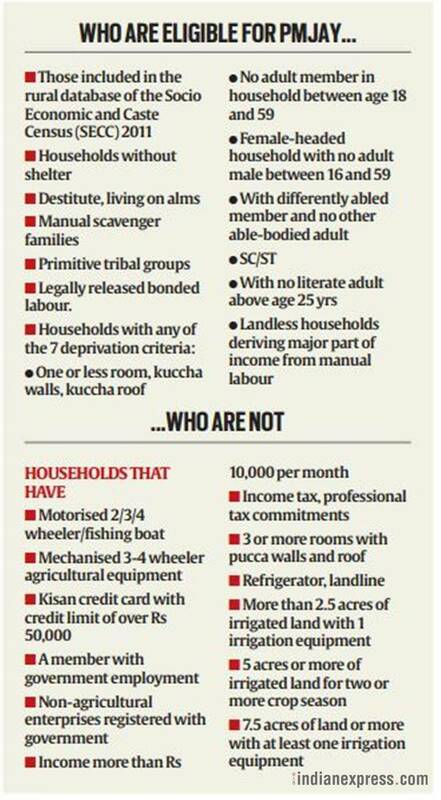 According to officials, the beneficiaries are those who meet the eligibility criteria (see box below) that includes the seven “deprivations”, including literacy, housing, disability and SC/ST classification, based on the Socio Economic Caste Census (SECC) 2011. In rural areas such as Mewat, the gold card, which is essentially a slip of paper with basic details of beneficiaries, is the culmination of a massive decentralised verification exercise, where sarpanches went door-to-door with the SECC-based list compiled by the Department of Rural Development verifying mobile numbers and IDs. But given the magnitude of the exercise, officials admit, there have been “teething issues”, mainly linked to the “stringent” eligibility norms. * The lists do not include many BPL families who owned household items such as a refrigerator or a two-wheeler since ownership of these items are on the exclusion list (see box). * There were complaints that the list included the names of some sarpanches themselves while others “living in worse conditions” were left out. * Since SECC is the basis for entitlement, families not included in the original list, or during the Additional Data Collection Drive (ADCD) undertaken from April to July through gram panchayats, do not figure among beneficiaries even if they meet the criteria. * Awareness about the scheme is yet to percolate down to the household-level with many families in villages not aware of the benefits or the scheme itself. * In many cases, scrambling to meet the July deadline of submitting the verified lists to the district administration, local Accredited Social Health Activist (ASHA) or Anganwadi worker was pressed into service. “This is an entitlement-based scheme, which means people cannot register on their own. Any person who is not on the SECC database cannot get the benefits of the scheme. 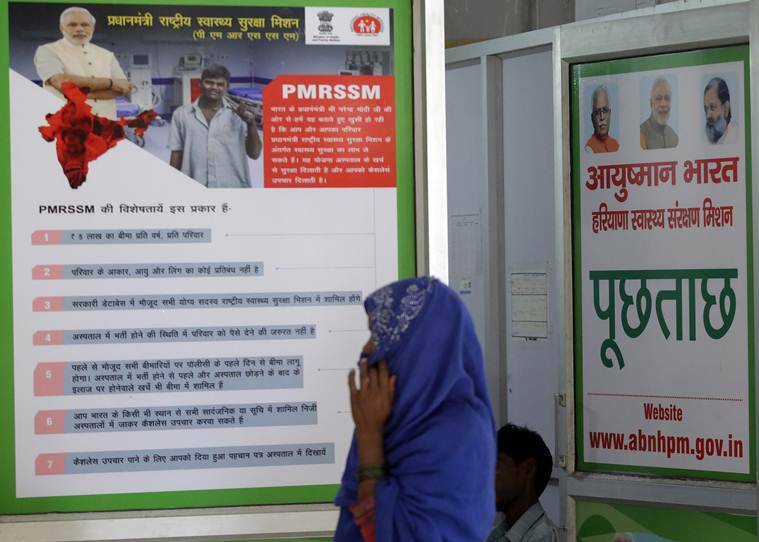 That is why we took all care during the ADCD by involving the gram panchayats,”says Dr Ravi Vimal, deputy CEO of the Haryana State Health Agency that is the implementing authority for Ayushman Bharat. “The SECC was done in 2011 so it is possible there are new additions in families or some families have become better off or others poorer. All attempts were made for that to reflect in the database,” says the official. At Al Afia, which is the only facility running the scheme on a pilot basis in Mewat, The Indian Express found that the staff and management had devised solutions on their own to tackle some of the early hiccups. For instance, keeping in mind poor awareness and education levels, the hospital decided that it would not leave it to beneficiaries to seek their entitlement from Ayushman Mitras, or the nodal liaison staff for the scheme. “A decision was taken to check every inpatient admission against the database supplied by the State Health Agency to see if the person is eligible for reimbursement,” says Sharma, the district nodal officer. 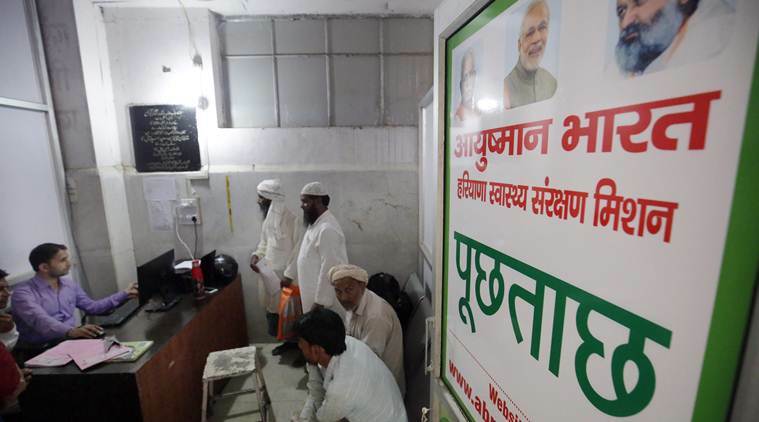 This means that every time there is an admission, nodal staff like Sakir Ahmed who man the Ayushman Bharat kiosk in the hospital 24/7, get the file of the patient to check for eligibility. That is how Jaibunnisa made the cut. All her approvals are through and the government hospital, for the first time since it was set up, is expecting to be paid for patient care. “Normally, we do not charge anything except the one-time registration fee of Rs 5 per patient. But this money will help us be at par with other, bigger institutions. We have a labour room that has received government certification. We could do a lot more when the money comes in,” says Dr Baljinder Singh, Al Afia’s medical superintendent. At the hospital, the gold card is generated at the kiosk where Ayushman Mitras with computers and printers field about 5-6 queries a day. “If all data is correctly fed, it takes just 10 minutes to generate a card,” says Husain, an Ayushman Mitra who is a contractual employee with a diploma in computers. But at the macro level, there’s still a long way to go. Jaibunnisa is from Balai village in Phirozepur Jhirka of Mewat, and belongs to one of the 152 families among 282 to make it to the list— and one of the first 200 people in the district whose gold cards have been generated. For others like Nasru in Sakras village, PMJAY holds out hope that he may finally be able to repay the Rs 1 lakh his family borrowed from the Haryana Grameen Bank for his cancer treatment. Currently, Nasru spends between Rs 200 and Rs 2,000 for every trip to Jaipur for treatment at the Sawai Mansingh government hospital. Most of the money is spent on tests done from private laboratories. “At least if the Rs 5-lakh scheme comes, then his family will not be bled dry while trying to meet the cost of treatment. They have no money, they work as farm labourers,” says Murtaza, Nasru’s neighbour. According to Phoolchand, the sarpanch, Nasru’s name is on the verified list of 503 eligible households in the village of 1,700 families. This means everyone in his 17-member family will be covered in PMJAY once they submit all ID documents. In Bhadas village, 10 km from Sakras, 293 of 500 families are eligible for PMJAY. One of them is Dulli Khan’s family of 15, including his mother who has been diagnosed with diabetes and hypertension at Moyal Hospital, a private facility nearby. “It is a recurring expenditure, mostly on medication,” says Khan. The sarpanch of Bhadas is Anju Bala but it’s her brother-in-law Khemchand who works on her behalf. “I know about the health insurance scheme. A list came some time ago with the names of the 293 BPL families in the village. I collected the phone numbers and ration card details and gave them to the district administration,” says Khemchand. As a small group gathers around Khemchand, Khan’s neighbour Mohammed Ishaque realises that his family of 15 will not get any benefits because his name is not on the list. “Sarpanch, please get my name included. You know my conditions, I am a poor man, I earn from farming and am illiterate,” he pleads. Khemchand says he has no powers — and he is right. According to Dr Vimal from the health agency, the state will decide if the beneficiary list needs to be updated. “For now, the list stands frozen as per the SECC database. There is a District Grievance Redressal Committee but inclusion is not in their remit. People can approach them for reimbursement delays or other grievances,” he says. As for Jaibunnisa’s husband Najir, the real benefit of the scheme is that the gold card will pay for treatment in private hospitals, too. “We come to the district hospital because it is free. But if private is also free, we will go there. Then we won’t have to stand in queues any more,” he says.